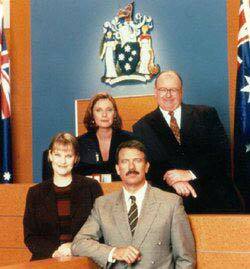 A fast-paced television drama set within the fascinating environment of a State Coroner's office complex. Each day a team of highly trained professionals deal with the questions of deaths, murders, accidents, suicides, fires, drownings and even the odd natural cause. We see their battles with grieving families, slow or meddling authorities and organized crime, from the initial inquiry through to the courtroom appearances and the Coroner's final verdict and recommendations for trial or reform.